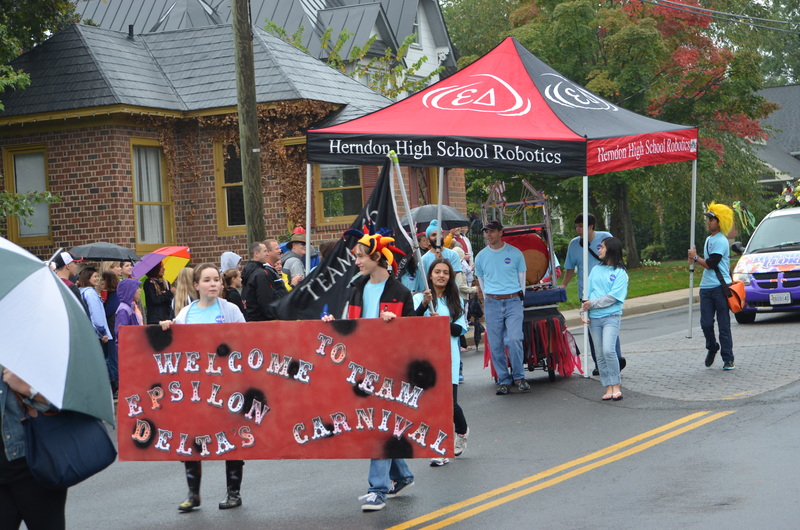 We are excited to announce that Team 116 Epsilon Delta will be marching in the annual Herndon Homecoming Parade! 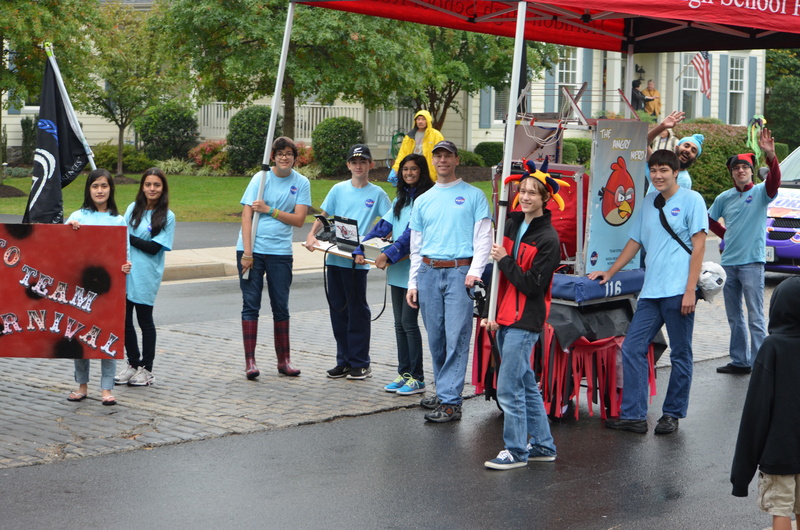 Rain or shine, you’ll be seeing our light blue team shirts with Angry Nerds on them. 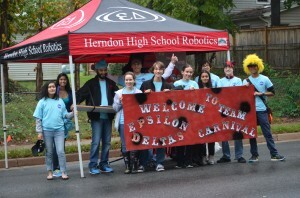 We will also be demonstrating our robot, which can shoot a large ball to great distances. We hope to see you all there, and have a great homecoming! Light rain it was, but that didn’t stop us. A quick run to the team trailer to grab the canopy and the wet electronics problem was mitigated. We had to veer left and right a bit to avoid the cobblestones, but it was a fairly smooth ride all in all. 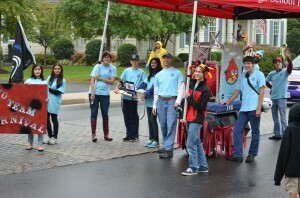 Kids and adults alike really loved the robot. Who doesn’t love seeing things catapulted into the air? We even got a chance to rest once in a while, but this parade moved faster than most, probably because of the light drizzle. 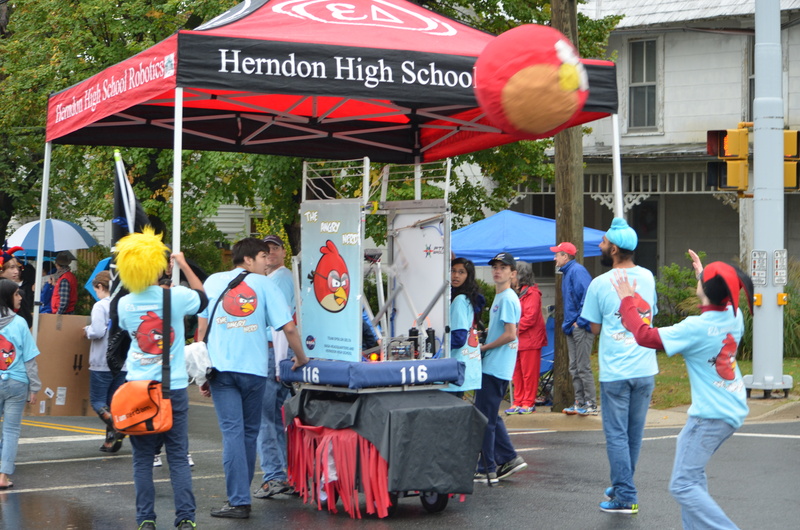 We got lots of great feedback from people along the route that our canopy made it really easy to spot us coming. 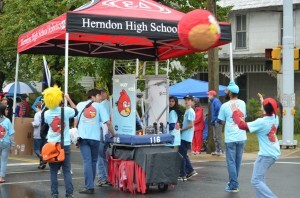 It might just become a regular fixture in future Herndon Homecoming parades.